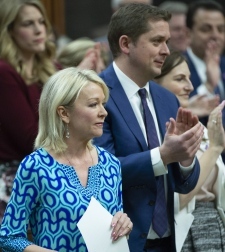 OTTAWA -- The federal Conservatives have launched a marathon voting session in the House of Commons Wednesday evening, the latest procedural move being made over what they say is a Liberal "cover up" of the SNC-Lavalin controversy. The more than 200 fiscal votes the Conservatives had put on notice have started to be called, and if all go ahead it could be into Thursday before they’re done. For now, it’s shaping up to at least be an all-nighter of continuous voting. The marathon session was triggered after the Liberals voted against a Conservative opposition day motion that called on the government to have the House "take note" of the comments from Wilson-Raybould about the SNC-Lavalin affair, specifically the events that led to her resignation, which she said she was not able to speak to during her Feb. 27 House Justice Committee appearance. The motion also called on Prime Minister Justin Trudeau to waive full solicitor-client privilege and cabinet confidences "to allow the member for Vancouver Granville to address events that occurred following January 14, 2019, including her time as the Minister of Veterans Affairs, her resignation from that position, and her presentation to Cabinet that followed." The Liberals defeated the motion Wednesday night, as they have done on several other similar motions that either the opposition Conservatives or New Democrats have presented over the several weeks that the scandal has continued to take centre stage on Parliament Hill. Shortly after the vote on the motion, watchers were offered a taste of some of the silliness that can set in during these long voting stretches. A Conservative MP rose to accuse Trudeau of "hiding a bagel in his desk" -- food is not allowed in the chamber. Trudeau rose to apologize and clarify that "it was a chocolate bar." In anticipation of the late-night sitting, cots have been set up just outside the House of Commons chamber. Opposition MPs on Twitter said that the beds were set up by the government. Asked if they ordered the beds, Liberal Whip Mark Holland told reporters that the government was "making every accommodation to ensure that if we have 36 hours of voting that people are taken care of." As the person in charge of making sure the Liberals have enough people in the House at all times to win each confidence vote, he said "every single item that comes forward represents an important priority for Canadians. Obviously, we’re going to be there." Hours later in the House once the voting began, Holland rose on a point of order to try to see if the other side would be amenable to pausing the votes between 2 a.m. and 7 a.m. citing the impact on MPs' health. This attempt was unsuccessful. These 257 fiscal motions -- considered confidence votes because they all have to do with budgetary measures -- could take up to 40 hours to get through if all are called, especially if a "recorded vote" is called on each. This would mean each person stands and is counted one by one, instead of a voice vote based on whether there are more MPs who say "yay" or "nay." Of note this would be a chance for any disaffected Liberal MPs to formally register if they had lost confidence in team Trudeau. About an hour in to the voting, that had yet to occur, with even newly-departed and now Independent MP Celina Caesar-Chavannes voting along the government line on the various lines of spending. 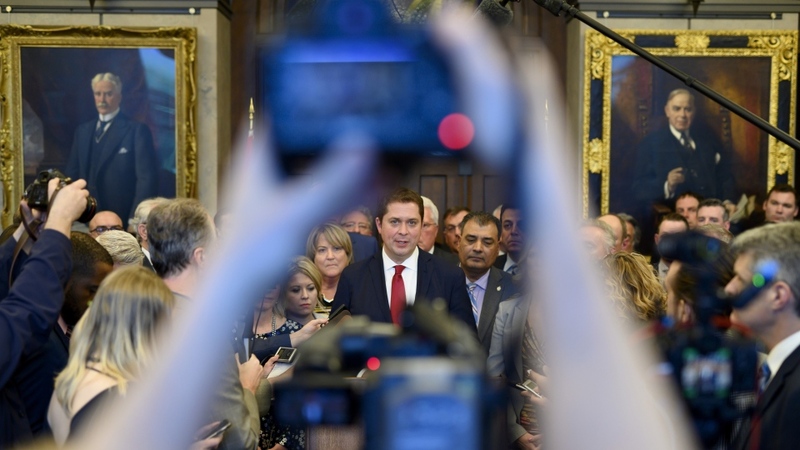 Conservative Leader Andrew Scheer addressed his caucus Wednesday morning, where he once again restated his vow to do all in his power to get answers on the SNC-Lavalin affair. "I believe that Canadians place a higher value on the rule of law than Justin Trudeau gives them credit for," Scheer said. Asked about the ongoing affair and continued calls for him to be more open, while at a housing photo-op Wednesday afternoon, Trudeau said the government took "unprecedented" steps to allow Wilson-Raybould to speak about what she experienced and she was afforded that opportunity. "Unfortunately the Conservatives are now trying to make it about many more things…People can be assured that there was a full airing of everything associated with the issue at hand and we now continue to move forward on responding to the other concerns that people have," Trudeau said. The Tories first floated the prospect of the marathon voting session over the weekend as their opposition motion day was first slated for Monday. This was swiftly shut down by the Liberals, who rescheduled it to Wednesday. Responding to the prospect of voting into Thursday, Government House Leader Bardish Chagger said the Conservatives have been saying for the last three years that they'd be "blocking" the Liberal agenda. “We had seen that this was coming,” she said. The Conservatives are also looking to take the SNC-Lavalin fight to a second House committee. Wednesday morning Conservative MPs on the House Access to Information, Privacy and Ethics Committee sent a letter to the chair, who is a Conservative, asking for a televised meeting on Thursday. The Conservatives argue that the allegations of political interference fall under the ethics committee’s mandate to "investigate matters as they pertain to ethics." This comes after a raucous budget day in the House of Commons where the Conservatives delayed Finance Minister Bill Morneau reading his budget speech. This was out of outrage over Liberal MPs shutting down the House Justice Committee probe into the SNC-Lavalin affair without allowing Jody Wilson-Raybould to testify again. The initial plan was to delay the budget altogether but the Liberals usurped that when Morneau, minutes before 4 p.m., took many by surprise and tabled the document early. Once he was able to launch into his speech, Morneau was soon drowned out by the opposition, who were banging on their desks, preventing Morneau from being heard for much of his delivery. Twenty minutes into the speech, Scheer rose on a point of order and decried the Liberals tactics as "an assault on democracy." Conservative MPs rose from their seats and walked out of the House, and Morneau continued. It took him 50 minutes to complete his speech, concluding just before 6 p.m.
Scheer vowed to continue to use any tools they can to continue to keep the SNC-Lavalin affair at the top of the House agenda, and said they are "prepared for anything." Reacting to the display, Prime Minister Justin Trudeau said it was "disappointing" that the Conservatives didn't care about what was in the budget, and accused them of playing politics instead. This is not the first time the Conservatives have forced hours of voting. In March 2018, initially also pledged to be "about 40 hours" of votes, the Conservative led what ended up being a 21-hour procedural standoff over the India trip affair. Then in June they went for about 12 hours of votes over the government not releasing a breakdown of how much its carbon pricing will cost Canadians. There are just 47 scheduled sitting days left in the House of Commons, and with the prospect of these votes and future procedural delay tactics being used, the amount of time left for the Liberals to pass bills and hold debates on key agenda items for them is diminishing, with continued opposition pushback. The government has been signalling a desire to change the channel as it is keen to fulfill as many promises as possible before Trudeau seeks the governor general's approval to dissolve Parliament and issue the writ for the fall election campaign. The Liberals want to pass 22 government bills they consider "active." Of these, 10 are still in the House while 12 have made it into the Senate. In the just over 20 sitting days so far this year, just two government bills have fully passed, while three new pieces of legislation have been introduced. There's at least one more new bill coming soon: the bill to implement measures in the 2019 budget. In all three federal budgets of this government, that has been spread over two separate bills in each year, often hundreds of pages each. In a March 18 interview with CTVNews.ca, Chagger said that given the current tone and tenor in the House and the long list of legislation to be passed, she'll be looking to use tools like time allocation to try to push bills through. "Of course I will. We know that the legislation we are advancing is actually working… The opposition is having a very hard time with that because at the end of the day they are more committed to their political benefits and their partisan games rather than the success of Canadians," Chagger said.